Desalinated water is being used for irrigation purposes in many places around the world, where the available water source is too saline to be used. Such water sources may include groundwater, sea water and sometimes surface water from lakes. Water salinity is a major problem for agriculture. Saline water contains high concentrations of salts, which crops might not tolerate. The source of the salts in water is the surrounding rocks, e.g. the mineralogy of the aquifer. Therefore, surface water is usually less salty than groundwater, which is surrounded by rocks. Oceans are salty because when water evaporates, the salts remain and accumulate. It increases the osmotic pressure and reduces the ability of the plant to absorb water, even up to a point in which the plant wilts. High concentrations of specific ions in the saline water may be toxic to the plant. Groundwater may contain high concentrations of ions such as sodium, chlorides, sulphate, bicarbonates, calcium, magnesium. It may also contain trace elements such as boron, iron, manganese and fluoride, which may be present at relatively low concentrations, but might become toxic to the plant if their concentrations exceed certain thresholds (such thresholds are usually crop-specific). Desalination is a water treatment process in which salts are removed from water. There are various methods of desalination, of which, the main method used today is Reverse Osmosis. In reverse osmosis, water is pushed through semi-permeable membranes, using pressure. The salts do not pass through the membrane, while water molecules do. Although there is some selectivity to specific ions, desalination with reverse osmosis removes most salts from the water and the amount of salts removed depends mostly on the pressure and on the ratio between the amount of desalinated water produced and the amount of brine water rejected and discharged as waste. Higher rejected brine volume results in better quality of the desalinated water and vice versa. As we can see, desalination removes most ions (salts) from the treated water. Many water sources (especially groundwater) may contain elements that are considered essential plant nutrients. Such elements include calcium, magnesium and sulfur, which are required in relatively large quantities by plants. Removing these salts, together with the harmful elements, such as sodium and chlorides, requires adding back those elements with fertilizers. Such fertilizers may include calcium nitrate, magnesium nitrate and magnesium sulphate. Desalination also removes carbonate hardness from water. This results in water that has a lower resistance to changes in pH. Adding even a small amount of acid to the desalinated water might result in a sharp drop of its pH. Therefore, in such cases, the water has to be stabilized by adding sources of bicarbonate, such as potassium bicarbonate. The reverse osmosis plant can be operated at higher permeate flow rates, leaving more salts in the desalinated water, i.e. leaving higher concentration of harmful salts, but also higher level of essential nutrients. Desalinated water can be mixed with untreated water. 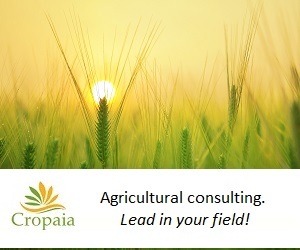 Applying the above methods, can save energy and fertilizer costs. It is important to run a simulation of the reverse osmosis plant, prior to its final design and installation. 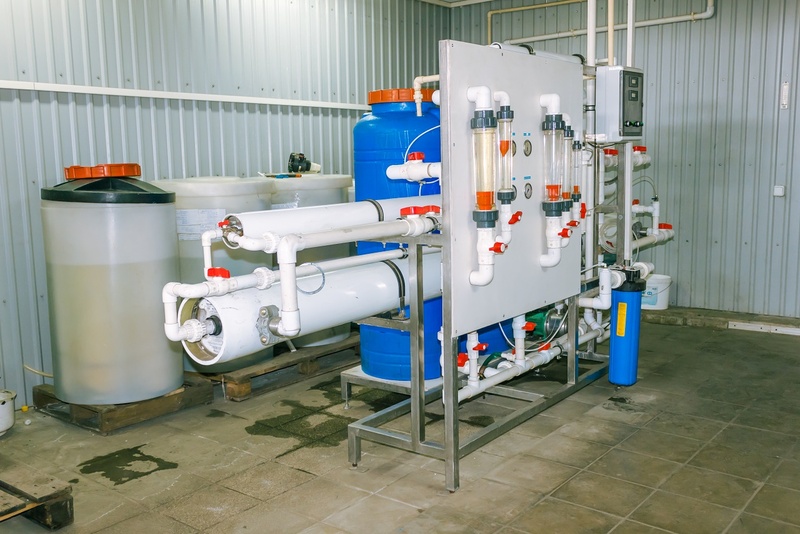 The manufacturer of the plant will usually run such a simulation, but it is the grower’s responsibility to provide a full laboratory analysis of the raw water and to define the required water quality and flow rates.Except of salts, does reverse osmosis remove other substances? Since dissolved salts, which are removed by reverse osmosis, are much smaller than viruses, reverse osmosis also removes viruses and bacteria. Which elements should the raw water be tested for? Common ions in that should be tested include: calcium, magnesium, sulphate, carbonates, sodium, chlorides, potassium, silica, boron, iron, manganese, fluoride, barium and strontium. Since bacteria viruses are much larger than dissolved salts, they are removed in the reverse osmosis process. However, presence of certain bacteria prior to the RO plant often results in membrane clogging and operation problems.